Purchasing automobile insurance doesn't guarantee you'll always have coverage without any issue. If you read the fine print you'll find that most car insurance wording includes very specific auto insurance cancellation policies. You'll need to familiarize yourself with them in order to avoid any penalties, fines, or mistakes that could lead to the cancellation of your policy. A non-renewal is one of the most common types of auto insurance policy cancellation aside from nonpayment. A carrier can non-renew your policy for a number of reasons. The most complicated reasons include state laws that allow carriers to simply get rid of business if they feel they've super saturated a certain coverage area. The more simplistic reasons involve review of your driving records, resulting in a non-renewal for the accumulation of moving violations or at-fault accidents. If your carrier non-renews your policy you will usually be given 30-60 days notice, depending on the state mandated auto insurance cancellation polices and laws. You should used this time not only to look for new coverage but to appeal your underwriter's decision. They will, in some cases, rescind their cancellations – especially if you're a first time offender. Do you have trouble getting your bills paid on time? Having your car insurance payments arrive late isn't good at all. Car insurance companies view you as a high-risk if you're unable to pay your bills on time. They believe that if you are not able to pay your bills on time on a regular basis you are likely to be a higher risk on the road. 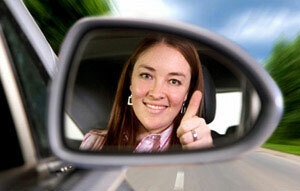 Auto insurance cancellation policies due to non-payment vary from company to company. Almost every company gives you a grace period after the initial due date in which you can make payment. If payment isn't received by that date the insurance company will issue a cancellation notice letting you know that you have a certain number of days to find other coverage. If you have had a good payment history in the past you may be able to appeal the decision, make a payment, and have your coverage reinstated. If you've had a bad payment history the insurance company probably won't reinstate your coverage. There are a few other reasons insurance carriers can use to cancel your policy. If they find out you lied on your application they have the right to cancel your policy almost immediately. Fraudulent behavior or committing a felony while driving will also result in the almost immediate cancellation of your policy as well. Don't let your policy confuse you. If you're confused about your company's auto insurance cancellation policies just give them a call. Your customer service team should be able to answer any questions you have.